The Formalization of Micro-Enterprises in Tanzania: What are the Emerging Issues? Back in 2006, the Integrated Labour Force Survey (ILFS) noted that the number of informal sector operators in Tanzania was growing fast and their share to the GDP was significant with implications on Government loses in revenue if they were not taxed. A recent study by Policy Forum in 2018 corroborates this observation but stresses that in order to adequately determine the extent of revenue losses, an appropriate measure of the size of the informal sector is needed. The report “The Nexus between Taxation of the Informal Sector and Inequality in Tanzania,” notes that it depends on how the concept of informality is treated, operationalized, managed and what empirical information is relevant and available to enhance policy. To this end, it was useful for stakeholders to meet and discuss this topic on informal enterprises and what it means to a Tanzania striving to become a middle-income country. The Policy Forum’s March Breakfast Debate entitled “Transforming Trade and Industry in Tanzania: Facilitating the Formalization of Micro-enterprises” convened on micro-enterprises to air their views on how policy issues impacting small firms. Dr. Olomi from IMED (Institute of Management and Entrepreneurship Development) stressed that youth and adults participate in the informal sector as a way of generating income and opportunity for self-employment. Through self-employment, there is more employment opportunities creation, technological progress, and increase in per capital income as well as reduction of absolute poverty, (Tanzania Human Development Report, 2014). Informal Sector entrepreneurs can also mobilize their own savings. This reduces its vulnerability to external shocks compared with the levels faced by the formal sector. In Tanzania, the informal sector includes non-agricultural enterprises owned by individuals or households that are not constituted as separate legal entities independent of their owners, have limited set of accounts and produce some of their goods and services for sale, (Integrated Labor Force Survey, 2014). It consists of mainly the registered, unregistered and hard-to tax groups such as micro scale traders, street vendors, retailers and in rare cases wholesalers who trade in products such as food, clothes and electronic appliances, small manufacturers, craftsmen, individual professionals and other small-scale businesses. Specifically, on youth, he continued to say that the government recognizes them as a significant group in national development strategies. Several programmes are targeting youth entrepreneurship and transformation to formal sector that can be more sustainable and enable government collect tax. More broadly, Tanzania has piloted several approaches to formalize the micro enterprises. Faraji Mbulalina from President's Office Regional Administration and Local Government said that entrepreneurs have been provided with special areas to conduct their businesses and continued by noting that PORALG, through H.E John Magufuli, has initiated the process of providing the informal sector with identity cards in order to recognize their businesses. 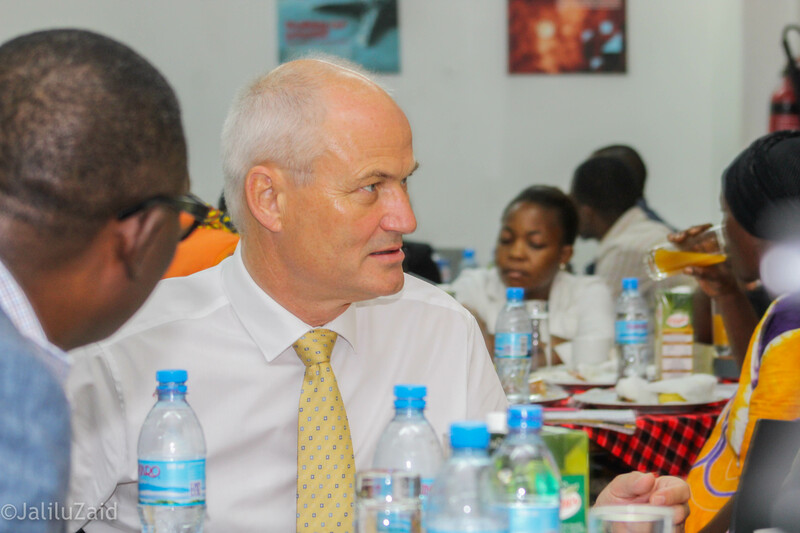 Ambassador of Denmark to Tanzania , H.E. Einar Jensen stressed informal businesses are an untapped resource. The reality of substantial, important and valuable economic activity taking place in small firms has not yet been reflected in the legal, regulatory and policy framework to any great extent. Both the TRA and the local government authorities are more preoccupied with the short-term objective of maximizing revenue from small firms than in strengthening their performance in the regional, national and local economy, the source of long-term prosperity. Japhet Makongo, Policy Forum’s Board - Chairperson stressed that government should use all participatory best practices in the current small-business formalisation drive in Tanzania. The government, through the small and medium industries should continue to promote SMEs development through the provision of advisory services, infrastructure facilities, market access, financial support and many other supporting services. This may help a number of Small and Medium Enterprises program to develop with the vision of improving the competitiveness at the market and at the end be formal business. One of the participants from the SMEs commented that when the government introduced the tags, they were sold but asked whether they are any services provided to facilitate the ease of doing business and also suggested that SMEs should be involved in making and implementing the PORALG business manual.